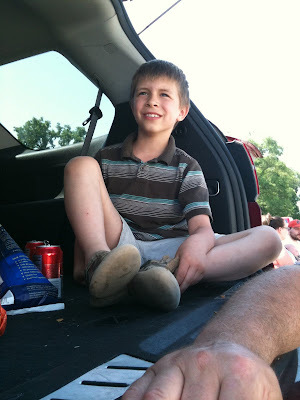 Ethan at Middletown's Memorial Day parade, "oh my gosh... There's a skinny guy in the parade!! ".